Now you can safely contain your pets in your yard minus the worry and frustration. Whether your are moving into a new home or have more than one pet, this is the perfect solution for keeping your pets safe. With this system there is no limit to how many pets you can keep contained in your yard. Make playtime fun for your pets, your neighbors happy, and know your pets are safe without you watching over them. Each collar weighs 4.7oz and is comfortable & light for any pet. 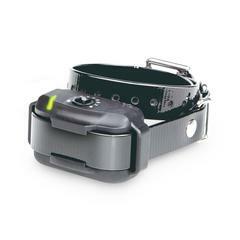 This collar works with the Dogtra E-Fence 3500.